Passionately combining exclusive artist designs, Inclusivi-Tee brings progressive awareness to issues of equality, inclusivity, and diversity. The company was founded by clinical Psychologist Lori-Myren Manbeck. Out of a desire to actively do something about the lack of human rights, especially within the arts, the company was born. By eliciting community involvement, Inclusivi-Tee further focuses on cherishing and caring for the delicate mother earth while bringing community members together. Inclusivi-Tee also seeks to support the environment by donating one-hundred percent of profits to earth friendly non-profit agencies. Each quarter, the company features new artists and designs by whom the proceeds will be given. The team consists of five passionate and consistent members which include: filmmaker, Barbara Wiener, writer and activist David Grant, copywriter Jim Melzer, youth advisor Tiernan Boggs and office assistant Christiana Deleo. Involvement at the individual level happens with a subscription based membership. Each member receives a unique T-shirt timely delivered once every three months. The member has the choice in choosing from a set of designs which are unique during that quarter. Should they wish to, the member can also choose to have the design selected for them. Once you become a subscribed member, extra T-shirts are available for purchase at a discounted rate. Gift subscriptions are also available as a way to spread the awareness to others. In keeping with the theme of all-inclusivity, there is an extensive range of sizes from young child up to a five xl. 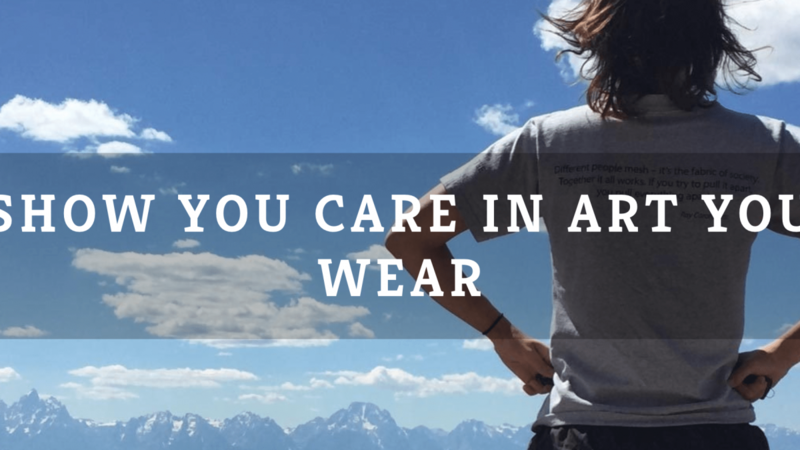 Choosing to subscribe to Inclusivi-Tee you will not only be getting a fabulous, comfortable and exclusively design T, but you will be doing your part in stabilizing the health of the environment. The goals of a community centered on equality, inclusivity and diversity through progression does not stop with the subscription program. Inclusivi-Tee embarks on a journey to further grow the awareness of human rights through both the business and social community.